Available only in blue (outer color) and red (inner color). 1 5/16" by 2 1/4". 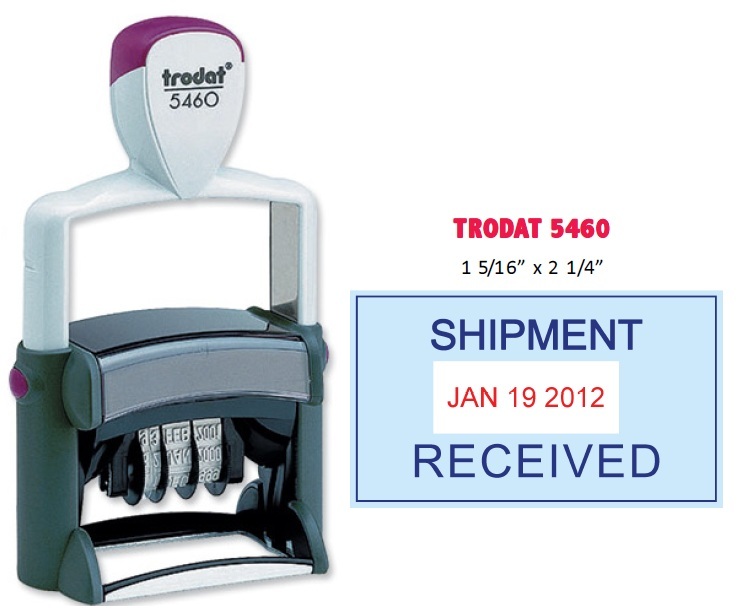 The trodat self-inking dater features a heavy duty frame and precision component for a smooth, quiet action and many years of trouble-free operation. The P-5460 is an excellent choice for your high volume stamping needs.